Place the chicken breasts into the base of the slow cooker and add the red salsa, green chiles, minced onion, ground cumin, garlic powder and salt and pepper. Set the slow cooker on low and cook for 8 hours. Once finished cooking, shred the chicken with 2 forks and mix into the sauce. 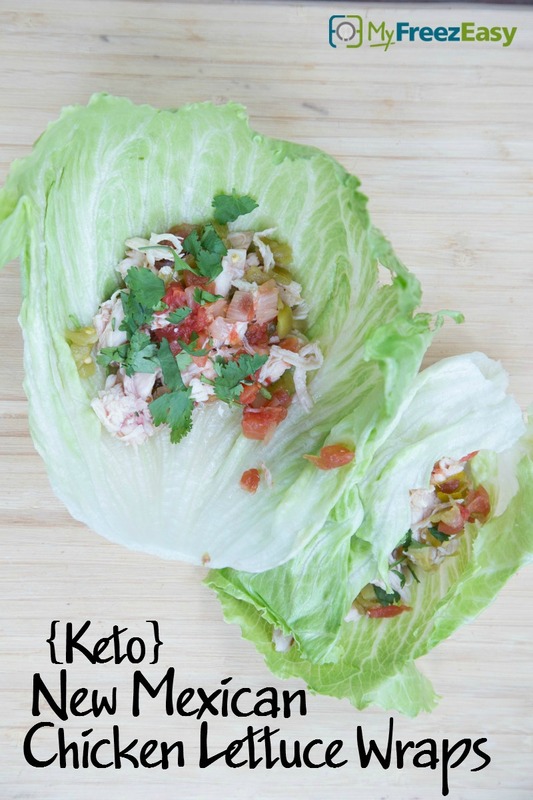 Spoon the shredded chicken into lettuce leaves and make lettuce wraps. 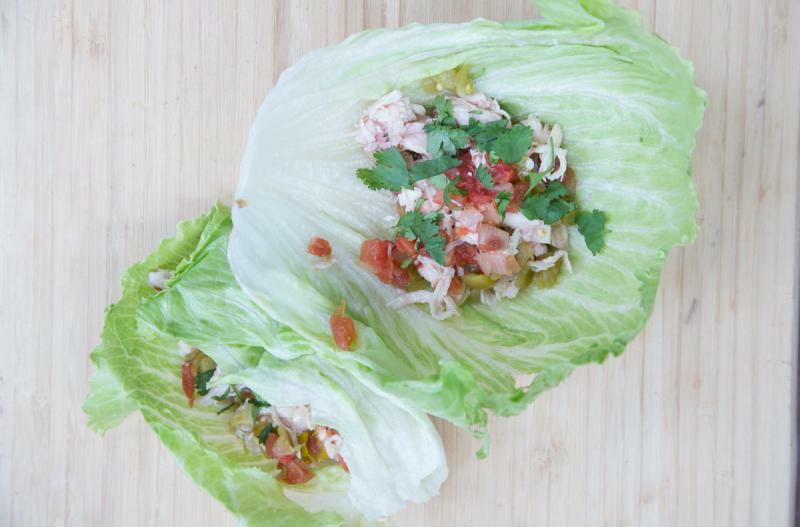 Serve New Mexican Chicken Lettuce Wraps with veggies. Put baggie in the freezer and freeze up to 6 months in fridge freezer or 12 months in a deep freezer. Thaw in the fridge overnight, or a warm bowl of water for about 20 minutes, before transferring to a slow cooker and cooking as directed. Thaw and add to slow cooker. Cook on low for 8 hours. Shred chicken with sauce and spoon into large lettuce leaves.